Today’s BoardPusher.com Featured Deck is an image captured on Venice Beach, CA by photographer Benjamin Prince, “Caught the guy tagging with his lowrider bike center and a girl walking up in matching yellow to the right, the shot made itself.” You can keep up with more of his photography by following him on Instagram @everydayrenegades. 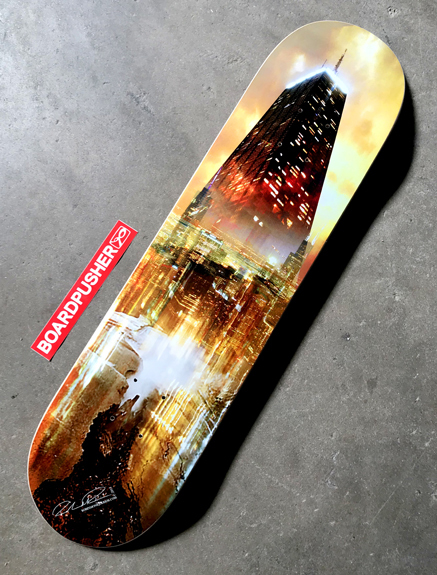 Upload images, graphics, and photos at BoardPusher.com to create your own custom skateboard. 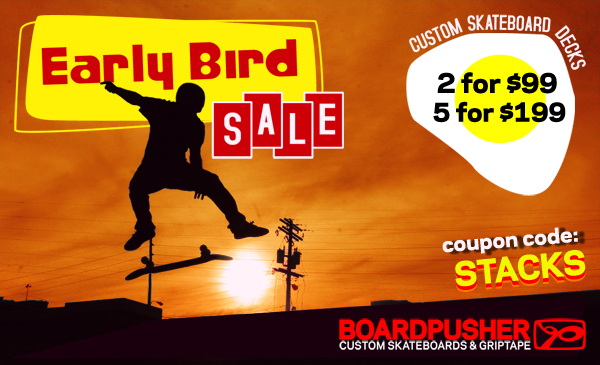 This week, get a jump on your holiday shopping with an Early Bird Sale at BoardPusher.com. Now through Tuesday, November 13th, we’re offering 2 custom skateboards with your own design for $99 or 5 for $199 on all popsicle decks and similarly priced shapes (yes, you can mix and match). Just use coupon code STACKS in your BoardPusher.com cart to claim your discount. Jasmine Austin uploaded a picture of the latest addition to her familyat BoardPusher.com to create today’s Featured Deck. “This is our 4th deck from you guys, we have one for each member of our family mounted on the wall. Originally, my husband made one for me, then we had one made for him and my son and now this one to add to our collection of our baby girl. They look fantastic! !” You can follow Jasmine and her family on Instagram @thejazziek. 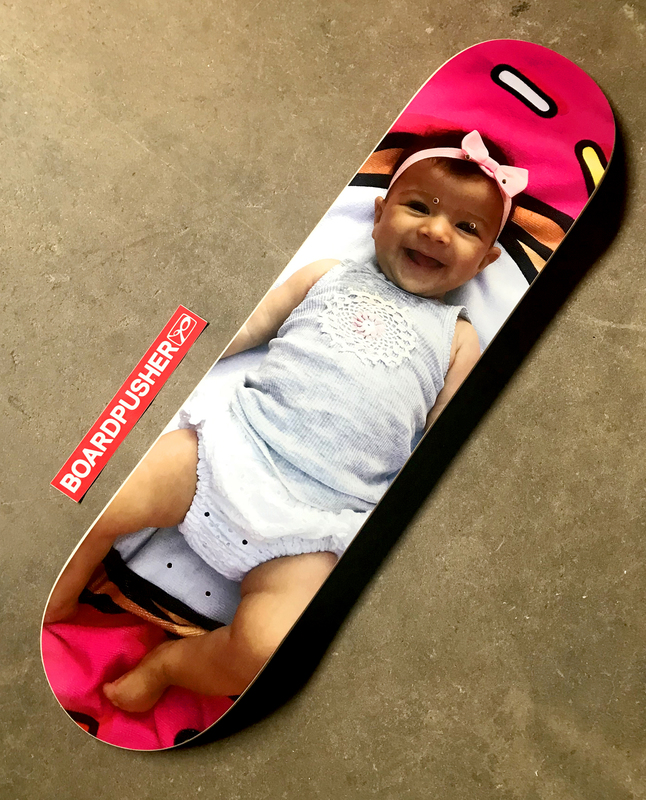 Upload photos of your family at BoardPusher.com to create a truly special one of a kind custom skateboard graphic. Zee Germans are here. 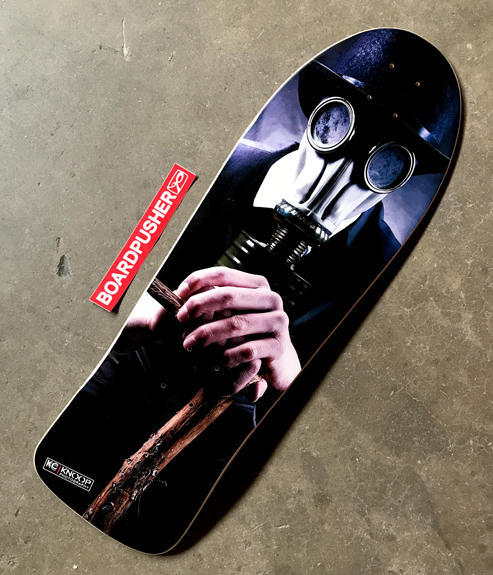 Photographer Dirk Behlau, aka The Pixeleye (@pixeleye), and model Makani Terror (@makaniterror) collaborated to create today’s BoardPusher.com Featured Deck. This custom skateboard is part of The Pixeleye’s Pin-Up Series, which you can see more of at BoardPusher.com/shop/thepixeleye. Turn your next passion project into skateboard graphics by uploading your own images at BoardPusher.com. 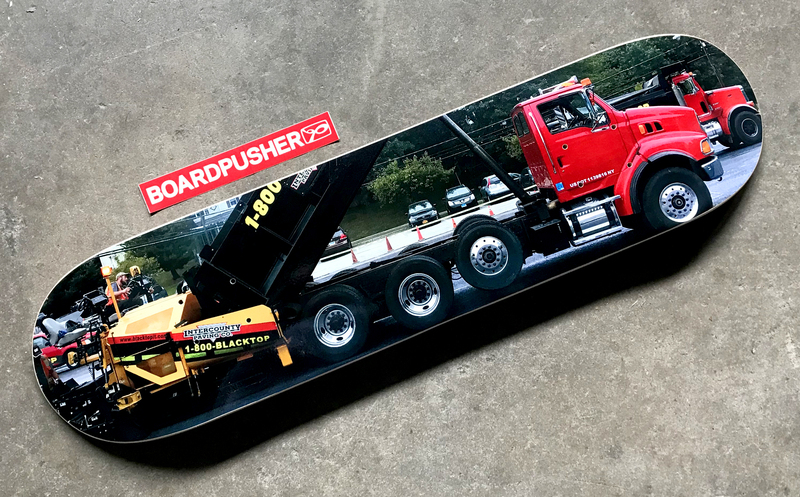 Featured Deck of the Day: Tri Axle Dump Truck by Intercounty Paving Co.
“Paving with pride since 1955” We like today’s Featured Deck because it reminds us of a similar graphic we created using a panoramic photo and that you can make a custom skateboard at BoardPusher.com out of any photograph. See Intercounty Paving Co. in action on Instagram @intercountypaving. Upload your own art, images, and photos at BoardPusher.com to create a truly unique custom skateboard graphic. 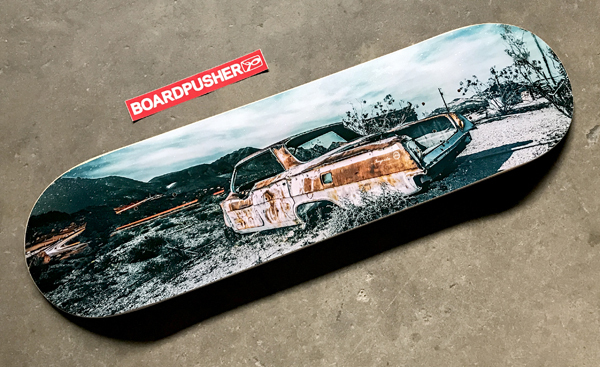 Baltimore photographer Greg Ketterman snapped a photo of this old junker during a trip out west, uploaded it to BoardPusher.com, and it’s today’s Featured Deck. You can find more of Greg’s photography at 1304photos.com or follow him on Instagram @1304photos. 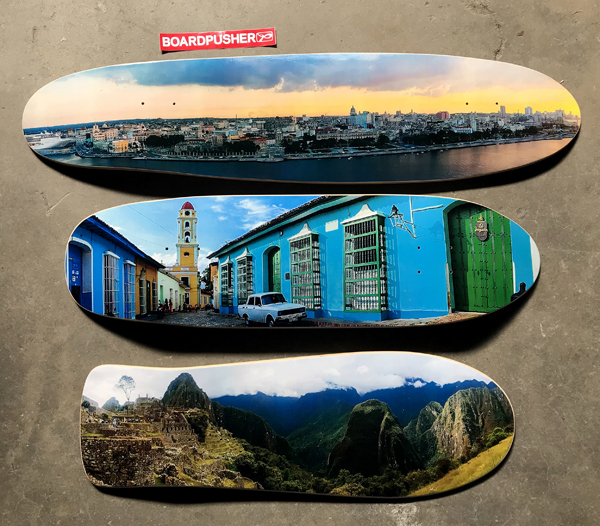 Whether it’s pro quality images or shots of your friends/family/pets, create a custom skateboard graphic with your own photos at BoardPusher.com.